Many people were concerned about the mysterious death of the beaver on the south bank of Buffalo Bayou opposite the Arboretum. The beaver’s corpse was discovered Saturday, Jan. 30, by a group of Boy Scouts documenting wildlife on the bayou as it passes by Memorial Park, an area threatened by a project proposed by the Harris County Flood Control District and promoted by the Bayou Preservation Association. The project, known as the Memorial Park Demonstration Project, would destroy much of the wildlife habitat along some 1.25 miles of the bayou as it passes by the park and the Hogg Bird Sanctuary. The Army Corps of Engineers is currently considering whether to issue a permit for this project, which would otherwise be prohibited under the federal Clean Water Act. Yes, there are beavers on Buffalo Bayou, and yes, animals do die. We mourn the loss of any creature. 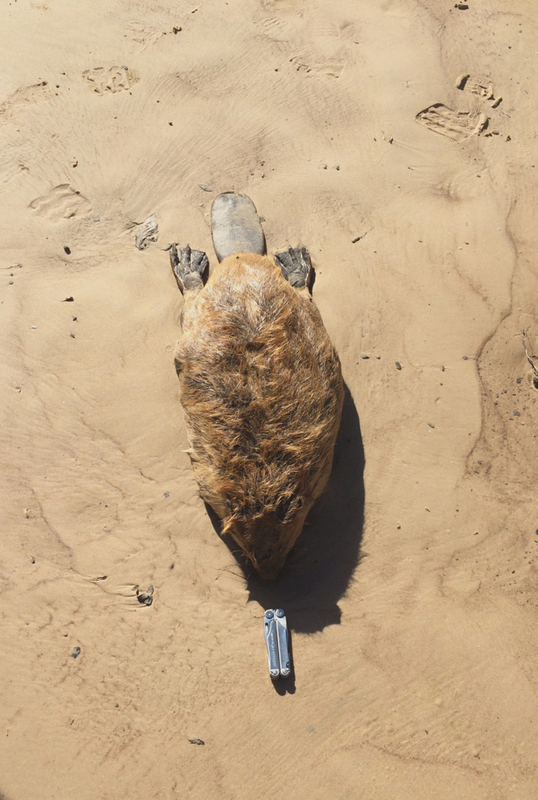 But the circumstances of the death of this beaver, which looked otherwise young and healthy, was puzzling, and there was good reason to try to identify the cause. So several days later, we tried. An anonymous friend generously offered to pay for a necropsy of the beaver. We contacted a veterinarian who was ready to perform it. Where to store the body? Someone volunteered her freezer. Another member of our team went out of his way to climb down the banks and locate the beaver’s corpse using GPS coordinates. By chance a veterinarian happened to be in the vicinity, as the area was near an animal clinic on West Loop 610. Alas, the corpse was too far gone for a necropsy. One of our naturalist experts said that while beavers do have accidents (chopping down a tree that falls on top of them, for instance) he agreed that the strange place and position of the beaver was suspicious. He suggested that though there were no obvious signs of trauma when discovered, the beaver might have been shot and tossed. A small caliber bullet hole might not be noticed, he pointed out. Thus ends the tale of the beaver body on Buffalo Bayou. 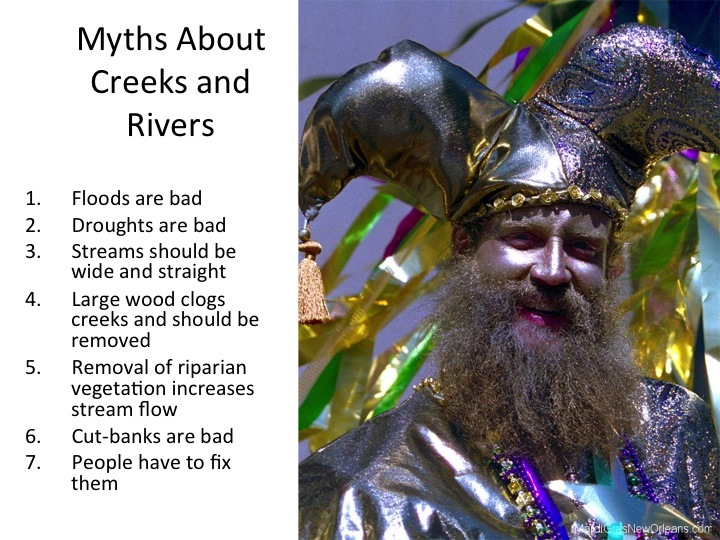 Courtesy of Steve Nelle, Riparian Notes, Note Number 28, December 2012. A group of Boy Scouts researching wildlife on Buffalo Bayou came across a sad scene on a sandy bank opposite the Arboretum last Saturday, Jan. 30. 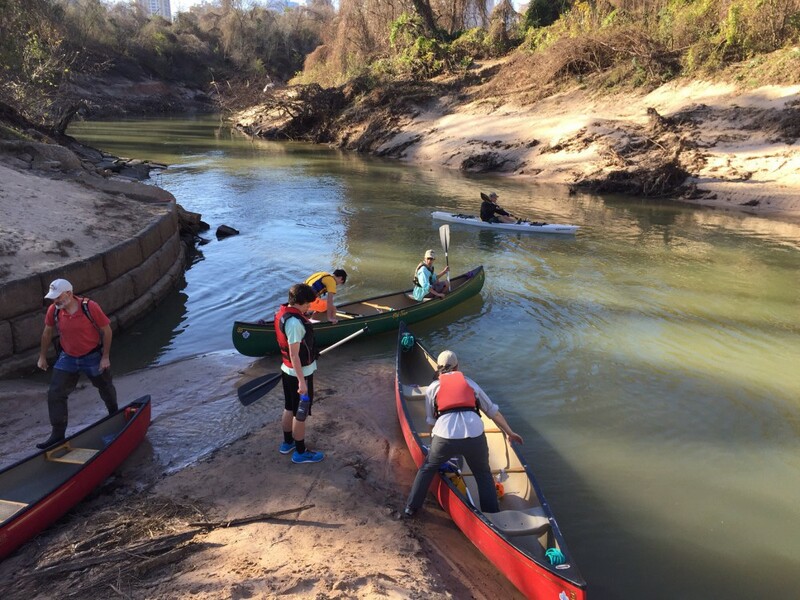 Paul Hung is a fifteen-year-old Boy Scout from Bellaire who is working with Save Buffalo Bayou on a project to inventory the wildlife on the 18,000-year-old bayou as it flows past the Arboretum, Memorial Park, and the Hogg Bird Sanctuary. The project is Paul’s Eagle Scout Service project, and he had organized a group of six Boy Scouts with Troop 55, Sam Houston Area Council, to float down the bayou looking for and photographing wildlife tracks on the sandy banks. Paul had carefully organized his float trip, checking first to see that the water level was low enough to see the banks, and accompanied by several adults, the group put in at the recently re-opened boat launch in Memorial Park at Woodway west of Loop 610, a wooded area known as the Old Archery Range. 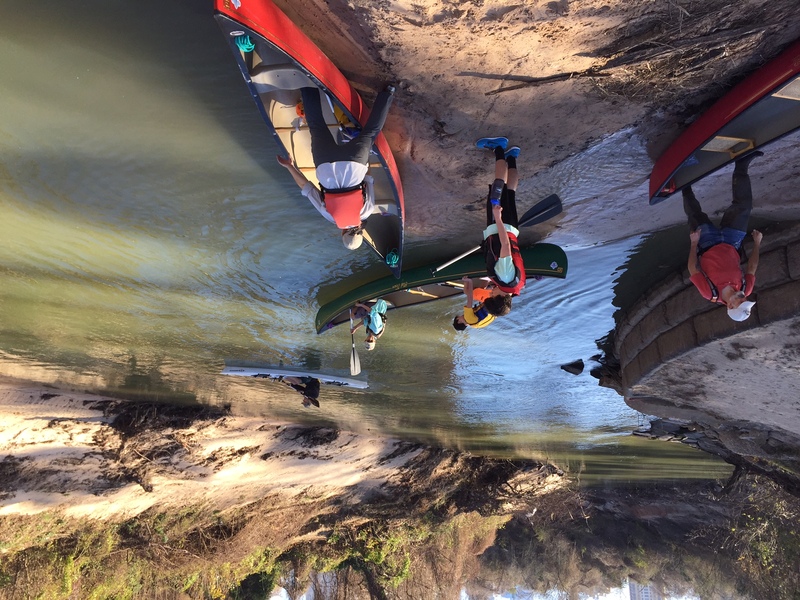 The group floated round a bend and another, passing under the West Loop 610 bridge, working in pairs in canoes to identify and photograph tracks and record their locations. But on a sandy south bank below a high-rise parking lot, the group encountered something surprising: the corpse of what appeared to be an otherwise healthy beaver. 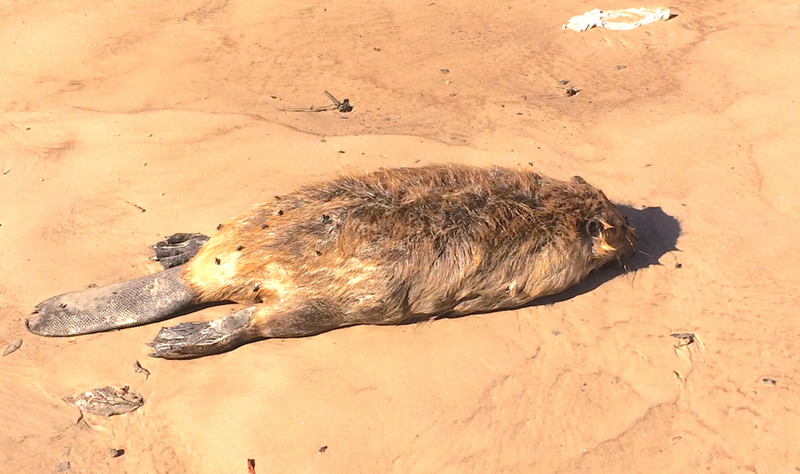 According to witnesses, the deceased beaver showed no signs of trauma and there were no tracks surrounding the beaver’s final resting place in the sand, which was near an area of willows known for beaver activity. Otherwise, he and his fellow scouts had a “great trip,” reports Paul. They saw an “amazing” amount of wildlife. 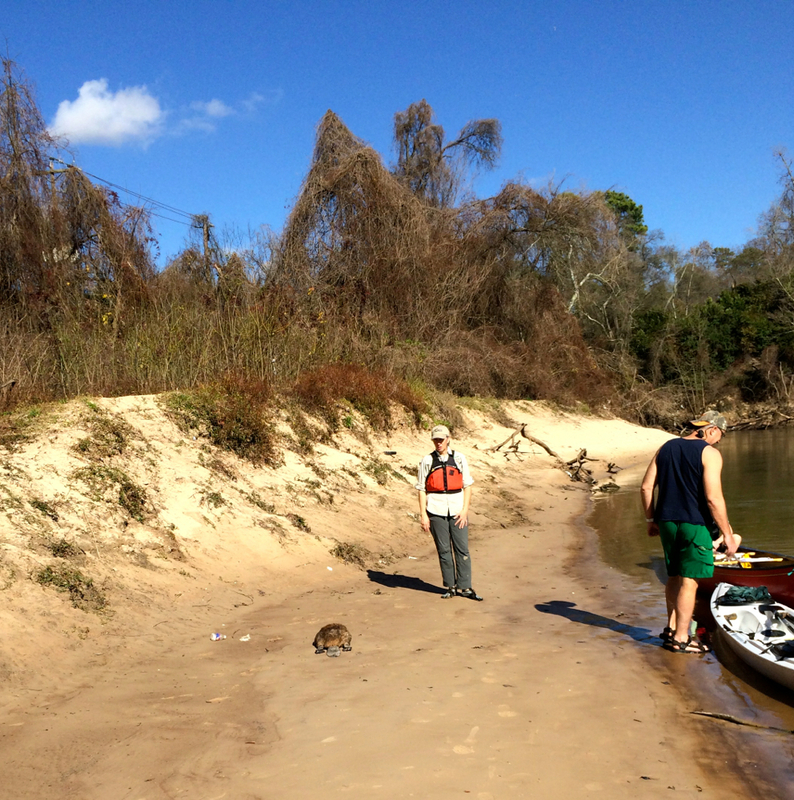 “I was surprised by how many animal tracks we found on the Bayou,” he writes in an email. “My partner and I alone found over 30 tracks. We saw Great Blue Heron, Coyote, Turtle, Raccoon, Beaver, and Great White Egret evidence. Save Buffalo Bayou and Paul plan to publish the results of his Eagle Scout Service project as a pamphlet in order to educate the public about the abundance of wildlife living on Buffalo Bayou.